I have been enjoying the Mason-Dixon knitting book though, and having received a parcel of Provence Cotton yarn from Texere last week, I set to work on some mindless dishcloth knitting. 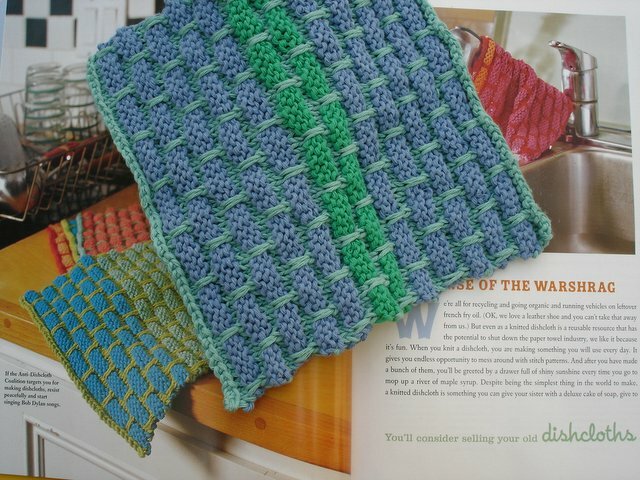 I thought the cotton yarn was very good value - just £3.90 for 250g - so perfect for dishcloths. I hope to have something a little more interesting to show soon, with some wool felt and a few packets of kool-aid on hand, not to mention a "to do" list as long as my arm!